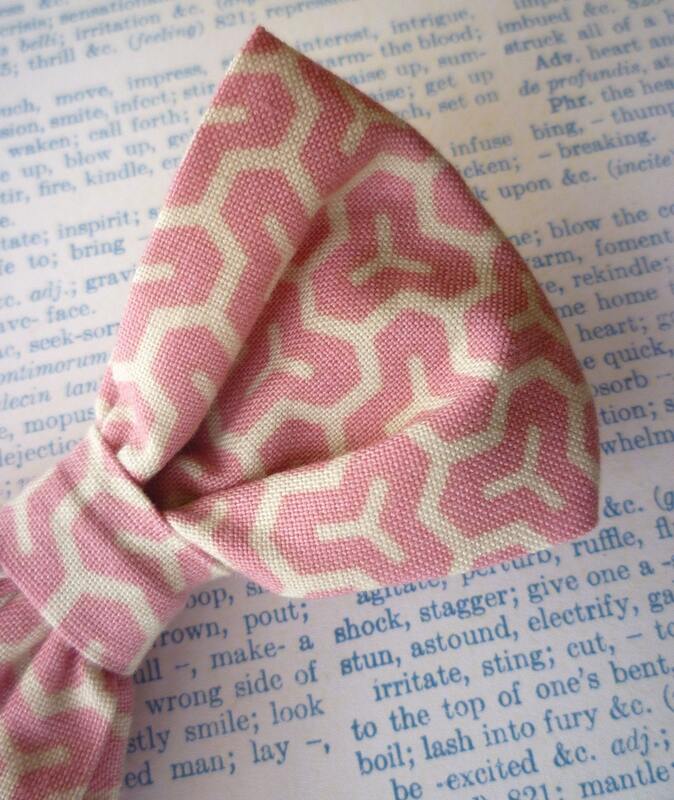 This sweet pink honeycomb bowtie is perfect for Spring, Summer, Wedding, or photographs. Beautiful pink background with white honeycombs makes an adorable bow tie. 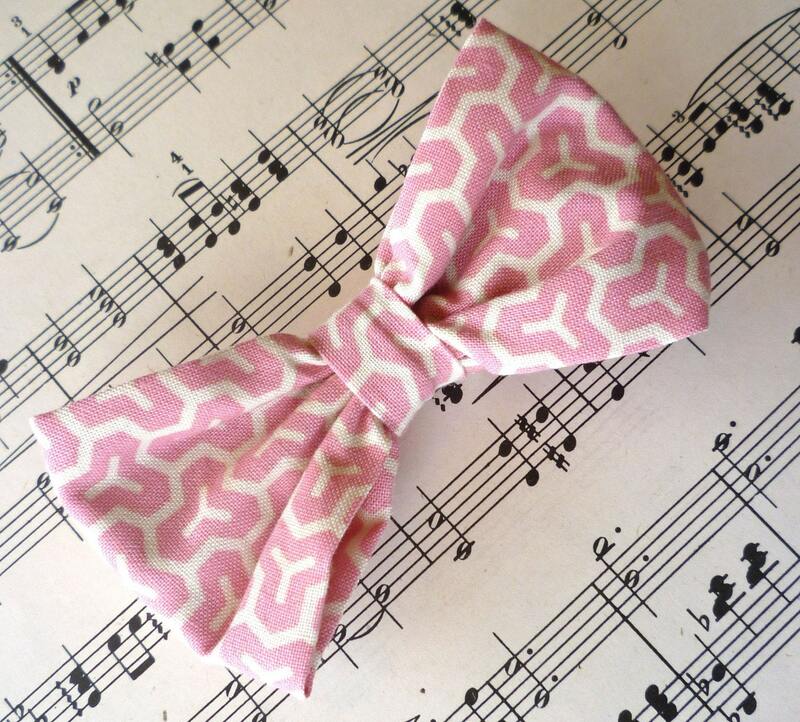 This darling tie is great for any occasion or just a fun addition to any outfit. Made of top quality designer cotton.